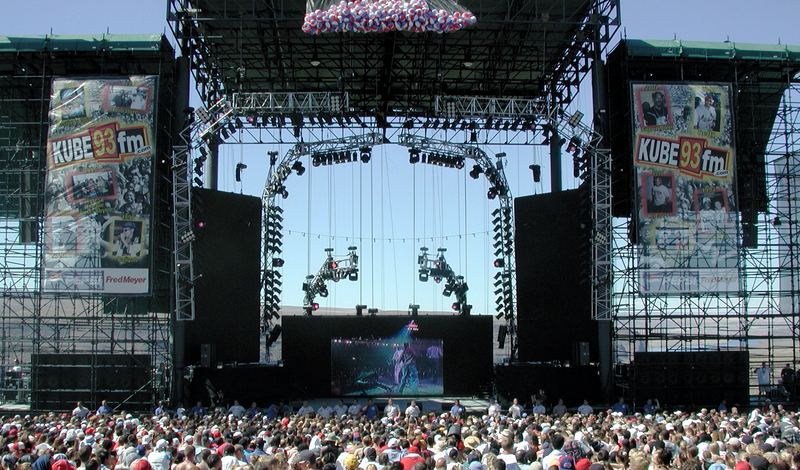 Shown here is our setup for Kube Jam at the Gorge. 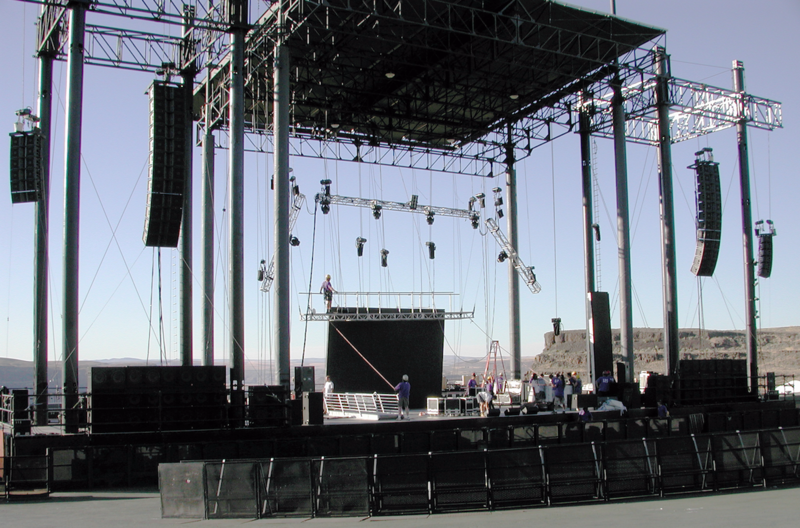 We used 24 JBL VT4889 for the main hang and 16 JBL 4888 for the outfills. Kube Jam is sponsored annually by the popular radio station KUBE in Seattle. The photos here show the last time the festival was held at The Gorge, located near George, WA.